a project where Don teaches Phillip how to map in the GoldSource engine. Here is Don’s and Phillip’s fourth tutoring session. 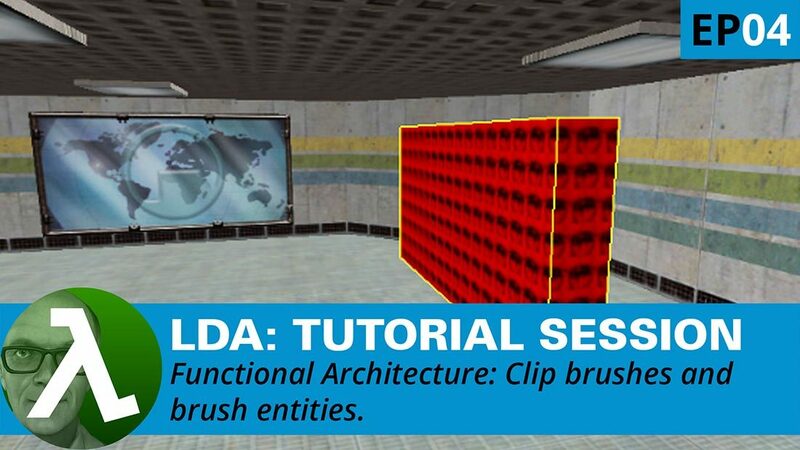 This Valve Hammer Editor tutoring session covers all the basic details of clip brushes & brush entities with the GoldSource Engine. Please feel free to ask questions related to the topics discussed. Please visit its homepage for full details of the Level Design Academy project. To teach the viewer to understand and use clip brushes and brush entities. This video contains explanations of the concepts and exercises for the viewer. Here is Don’s and Phillip’s third tutoring session. This video discusses texture manipulation. Here is my practice session after Don’s second tutoring session. Please feel free to ask questions related to the topics practiced. Here is Don’s and Phillip’s second tutoring session. Please feel free to ask questions related to the topics practiced. Here are the two practice sessions after Don’s first tutoring session. Please feel free to ask questions related to the topics practiced. Here is Don’s and Phillip’s first tutoring session. Please feel free to ask questions related to the topics practiced.